Recently, several wastewater treatment plants have asked Garvey Resources to find suitable farmers who could benefit by utilizing Exceptional Quality, Class A biosolids as a fertilizer. Our outreach campaign to the farmers has resulted in a great deal of enthusiasm from them about using biosolids to offset their lime and fertilizer needs. Fertilizer prices have increased every year for the past five years and farmers are looking for creative ways to reduce expenses. In fact, when one farmer was told that 80 miles was too far away for the plant to haul the biosolids to his farm, he offered to pay for hauling. Biosolids often contain lime since some wastewater treatment plants use lime to stabilize the biosolids and reduce vector attraction (flies, rodents, etc.) in their product. Since soils in eastern Pennsylvania usually require lime addition every second or third year in order to maintain soil pH at optimum levels, the lime content in some biosolids helps meet this need. Optimum soil pH is important to farmers because it helps increase the availability of nutrients in the soil and subsequently increases crop yields. When we calculate agronomic rates (best rate of application of a nutrient for optimum yield) with regard to biosolids application, we look at the plant-available nitrogen demand of the crops and we also use soil testing to determine liming recommendations. This is important because it is considered a best management practice (BMP) not to exceed the amount of nitrogen or lime needed to reach optimum nutrient levels in the soil. Therefore, the levels of nitrogen and lime in biosolids that are land applied are carefully monitored. We have received very favorable feedback from the farmers who have used biosolids as fertilizer. For example, a farmer who used a heat dried product on a portion of his sunflower field reported taller, more drought-resistant plants with strong stalks capable of supporting a large flower head with a high yield of sunflower seeds. The phosphorus in biosolids stimulates greater root and stalk development. 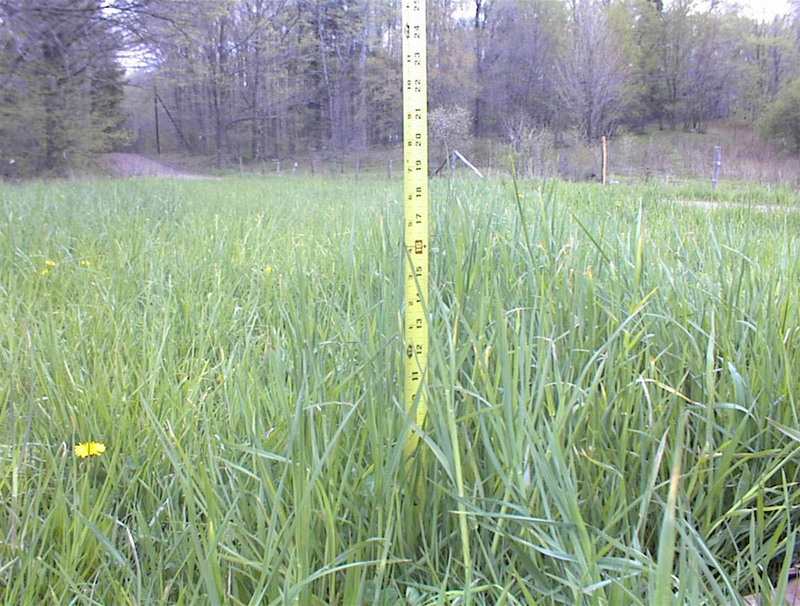 The portion of the field where a chemical fertilizer was used instead did not produce as high a yield. More and more, farmers who use biosolids to fertilize their fields are seeking Class A, low-odor products because of an increase in surrounding residential development and the resultant pressure to reduce odors. Farmers want to farm and don’t want resistance from the community. Consequently, when heat-dried, Class A, low-odor biosolids are offered by wastewater treatment plants, there is usually an immediate and positive response from farmers near and far wishing to use this product on their fields. This is a hopeful trend. As more farmers come to appreciate the benefits of biosolids as a fertilizer, more wastewater treatment plants will be encouraged to treat their biosolids to a Class A level so that they can be used as fertilizer, rather than incurring the additional cost of disposing of the biosolids in landfills. The economic benefit for the farmers is obvious. They can now get their fields fertilized for free, rather than paying the ever-increasing cost of chemical fertilizers. This, in turn, helps create a market for the wastewater treatment plant’s endless supply of biosolids, which results in a uniquely sustainable form of recycling of a renewable, natural resource. It is a win-win situation for all involved. This entry was posted in agronomic rates, benefits to farmers, biosolids as fertilizer, Diane Garvey, disposal of biosolids, Exceptional Quality Class A biosolids, Garvey Resources, land application, odor, recycling, service offered by Garvey Resources, Uncategorized, wastewater treatment plants and tagged biosolids, biosolids as fertilizer, economic benefit, exceptional quality Class A biosolids, farmers, farmland, land application of biosolids, landfills, recycling, wastewater treatment plants. Bookmark the permalink.